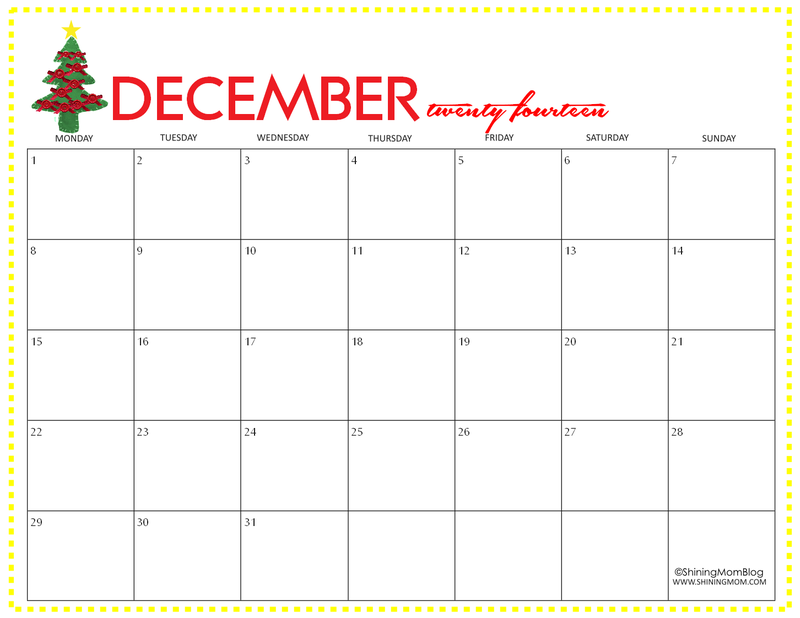 Since Christmas season is now just around the corner, I am happy to share that Shining Mom’s free December calendars are now available! So if you’re looking for a printable December 2014 calendar to use to plan the most awaited season of the year, you might like to view our Christmas calendar collection. They all have plenty of blank spaces to write on and they come in Christmas theme. Take a look! 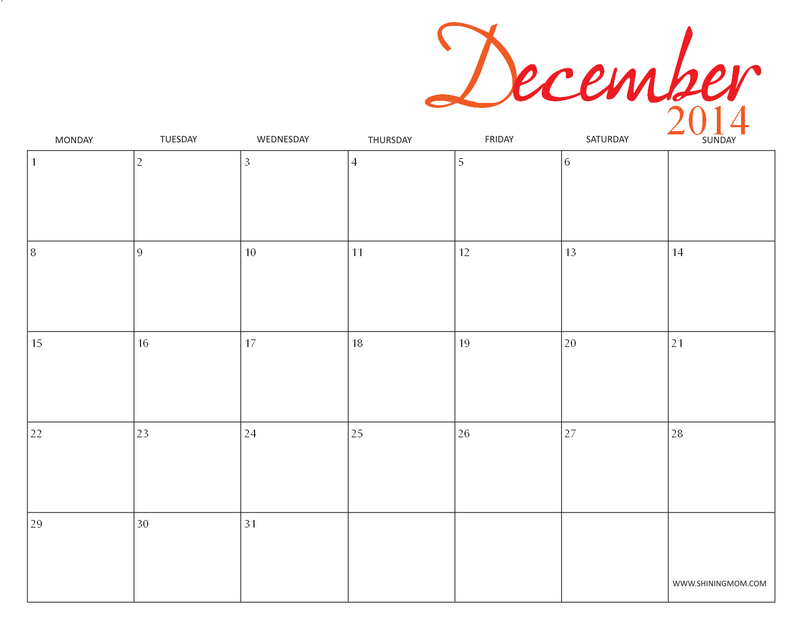 I really like the simplicity of this calendar topped with a gorgeous December lettering. 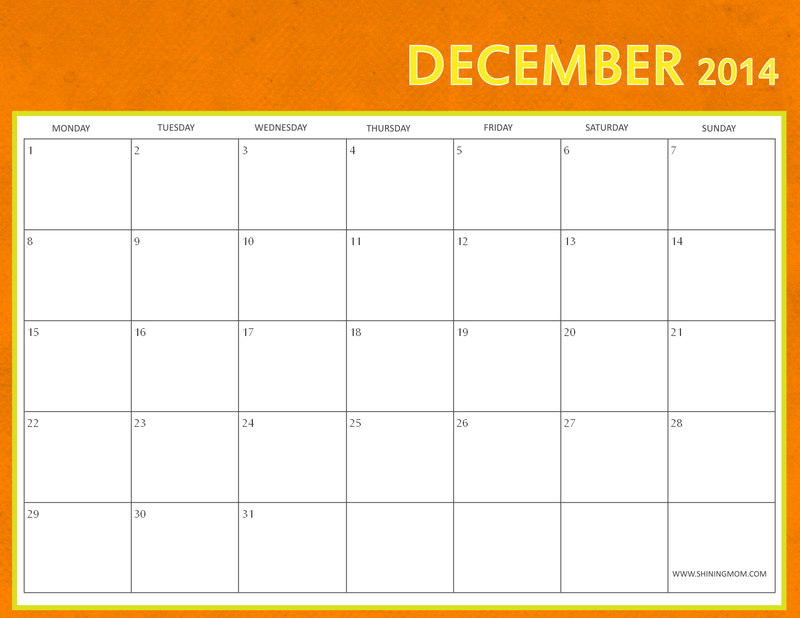 Second in our list is this simple calendar in bright orange background, great to use to jot down our exciting plans for the holidays! I like the simplicity of this design. It looks clean and refreshing. 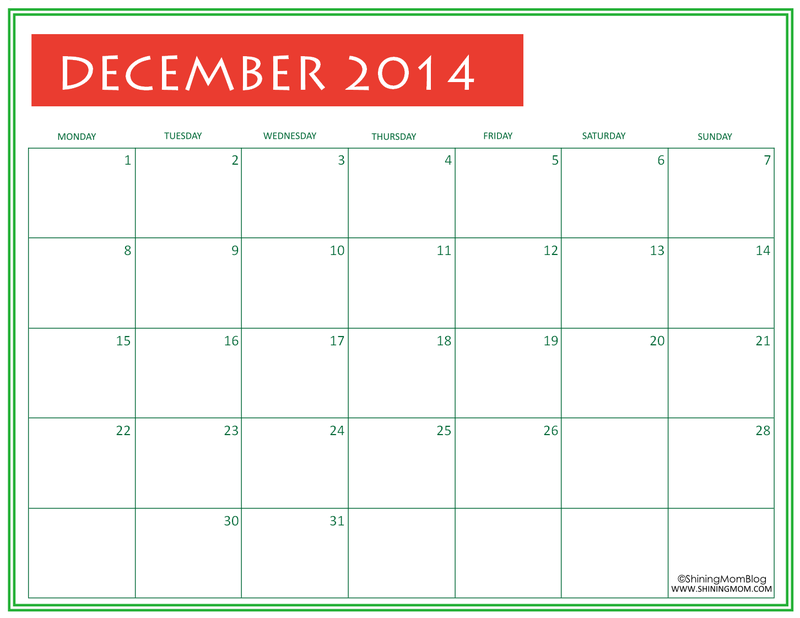 If you’re searching for a calendar with Christmas embellishment, you might just love this! Here’s another simple design for you. How do you find it? This last design in our collection is my personal favorite. I love the Christmas-themed colors used! 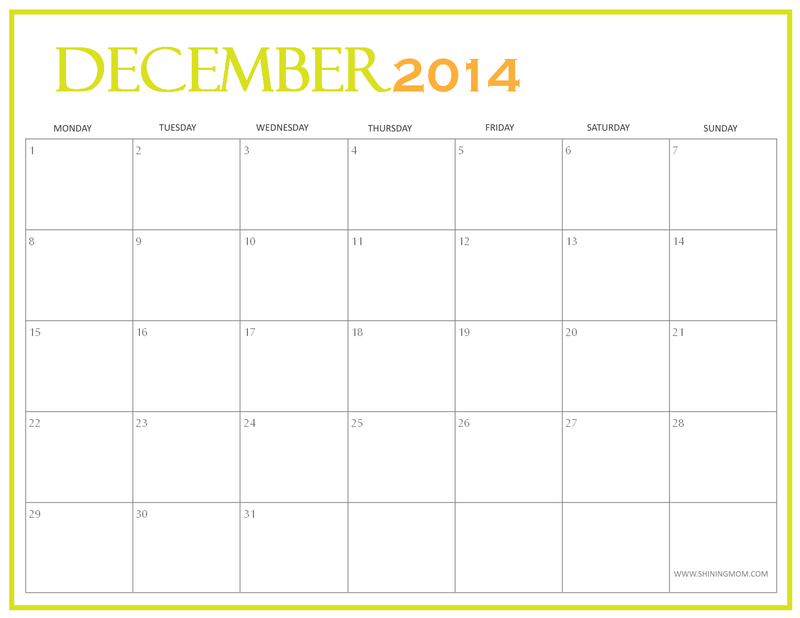 Ready to use these December 2014 calendars? Please note that they are all designed to be printed on a short-sized (8.5×11) bond paper and they come in 1142 x 1122 pixel size. To use, simple right click these high-resolution images, save and then print! 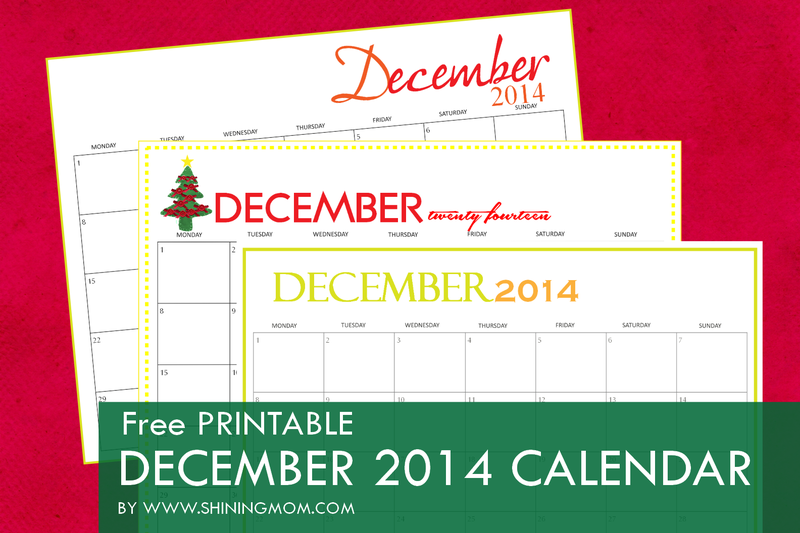 Would you like to share these free printable December 2014 calendars in your website? My honor! As you do, please use one image only (the cover photo) and link me back directly to this post. Each monthly calendar posted is not available for a roundup post. NOTE: Downloads can only be done here, and are for personal use only. 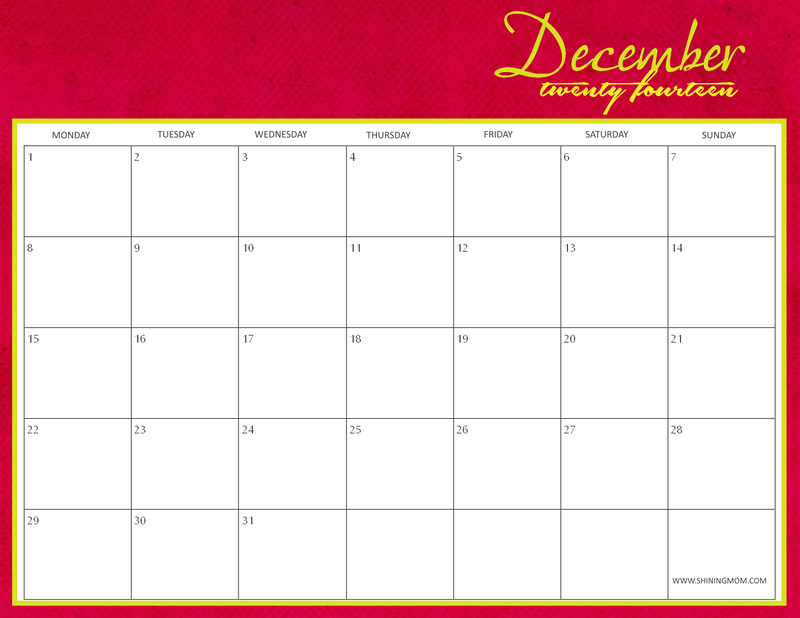 All of the calendars are created exclusively for www.shiningmom.com blog.